Getting approved for a new credit card with a massive sign-up bonus is an exciting moment. 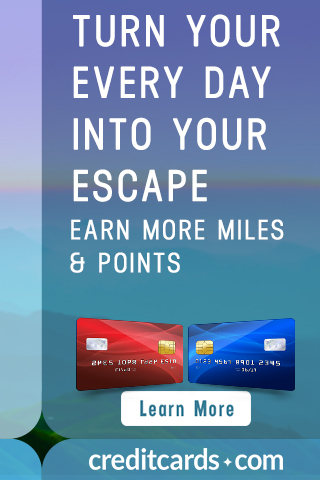 The only obstacle between you and those points/miles is the minimum spending. If you are new to earning credit card rewards, it can feel like there’s a lot to learn at once. One of the fastest ways to earn credit card rewards points is through a sign-up bonus. 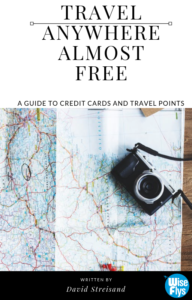 This is a large quantity of points you’ll get from a new credit card if you spend a certain amount on that card within a specified period of time — often the first three months. The spending requirement could be anywhere from $1,000 to $10,000, depending on the card. Whatever the spending requirement, you’ll need to reach it within a specified amount of time. Otherwise, your signup bonus is gone forever. Get your signup bonus more quickly with these 30 tips. Insurance. Pay your car, homeowners, medical, or renter’s insurance using a credit card. If you are on a monthly plan, considering paying in advance for a few extra months, provided you can pay off your credit card bill at the end of every month. Cell Phone/Cable/Internet. You can usually pay for your cell phone, cable, and internet bill using a credit card. You may be able to pre-pay your cell phone, cable, or internet bill via a credit card. Make sure payments are paid in full at the end of each billing cycle. Dining. Pay for all your dining expenses using a credit card. Groceries. Pay for all your groceries using a credit card. If you regularly buy groceries, consider buying grocery store gift cards and use them to buy your groceries in future months. Buying gift cards at grocery stores usually count as grocery store purchases. This helps when you get 5X points at grocery stores. Netflix. Pay for your Netflix subscription using a credit card. Gym Memberships. Use your credit card. Toll Transponders. If you have an automated toll transponder in your car (EZ-Pass, I-Pass, K-Tag, FastTrak etc…) you may be able to use your credit card to load money to your toll account. Business Travel. If you travel on business, you may be able to charge expenses to your personal credit card and then claim reimbursement from your employer. FSA Account. If you have a Flexible Spending Account (FSA), you likely get a debit card with which to make your medical expense payments (co-pays, prescriptions etc.) In most cases, you can pay for your FSA-approved expenses with a regular credit card and submit a request for reimbursement. Vision Insurance. If you have vision insurance, you may be able to buy contact lenses online or from a vision provider with your credit card and submit a request for reimbursement. Contractor Payment and Supplies. Ask your contractor if you get a discount for payment by cash (if you can’t pay by credit card). If there is a cash discount, ask if you can get the cash discount if you pay in American Express Gift cards. Babysitter, House Cleaner, Pet Sitters, Handy-women(ormen), Yard Work Providers. Ask your baby-sitter, maids, pet sitters, handy(wo)men and yard work providers if he or she will accept gift cards instead of cash. Reimbursement for Purchases. Consider paying your close friend’s and family member’s expenses by using your credit card. Make sure they write a check or give you cash at moment of purchase. Use your best judgment with this method. For example, purchase your Uncle’s new home gym equipment on your credit card, and ask him to write you a check or give you cash. Wedding Expenses. Ask the vendors if you can pay the deposit and wedding expenses with your credit card. Splitting Payments. Most shops will let you use multiple credit cards for one transaction. For example, if you are buying a $2,000 refrigerator, you can ask the cashier to charge $1300 on your Visa credit card (to complete the exact minimum spending required if you had only $1300 left to spend on that card) and $700 on your American Express credit card. American Express Gift Cards. You can buy American Express gift cards from various websites and get a 1.6% rebate. 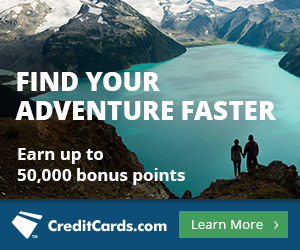 American Express ships the gift card to you in 2 days ($8 fee), and you can usually avoid paying fees to buy the gift card with a promotional code. Beware of cash advance fees before trying this method. Staples. You can buy $300 PIN-enabled Visa gift cards online at Staples.com and load them to your AMEX Bluebird or Serve account. Store Gift Cards. Stock up on your gift cards to your favorite stores. Consider using your credit card to buy gift cards for that location. You’ll get closer to your minimum spending requirement, and you can use the gift cards for purchases you’d make anyway. For example, if you spend $100 a week at your local grocery store,, you will spend over $1,000 within three months. You can use your credit card to buy a $1,000 grocery store gift card, then use the gift card for your shopping. Holiday and Birthday Gifts . Consider buying your holiday and birthday gifts in advance. Stock up on either store gift cards or American Express gift cards that you plan to use at those specific stores. Charitable Contributions. 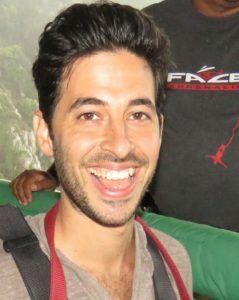 Many people make donations to charities. Consider making your donation with using your new credit card. College Tuition. Many colleges will let you pay for all or part of the tuition and housing costs with a credit card. Student Loans. Tio.com lets you pay your student loan payments via a credit card for a fee (Visa, MasterCard & Discover, but currently NOT American Express). You may be able to use a credit card, for a fee, directly through your loan provider. Property taxes. You might be able to pay your property taxes with a credit card for a fee either directly through your county or through a 3rd party service provider,such as, OfficialPayments.com. What other methods have you used to reach your credit card minimum spending? Wait, what is the difference between minimum spending and manufactured spending? Excelente post – as all your other posts! 😀 – I picked up a few new ideas such as tio.com – You are the best!!! !